This new ranch-style model home includes an inviting great room with fireplace and a gourmet kitchen with quartz countertops, tile backsplash, maple cabinets, stainless-steel appliances, a walk-in pantry and a spacious breakfast nook. The luxurious master suite offers a generous walk-in closet and deluxe bath. 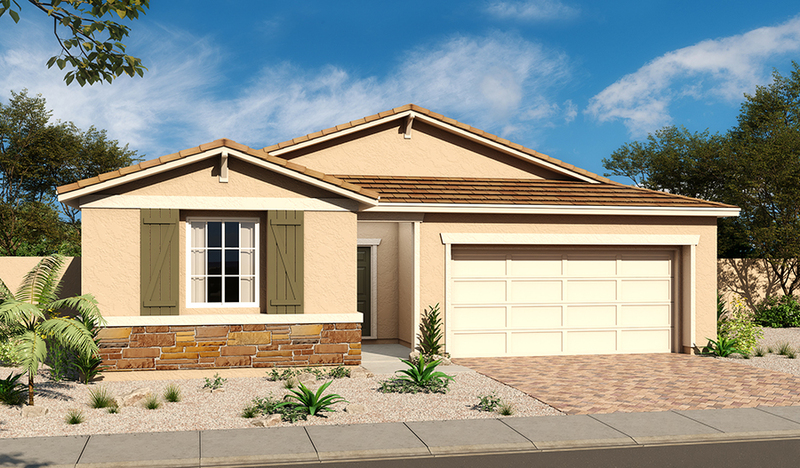 You'll also appreciate the extended covered patio, 10' ceilings, two-tone paint and convenient laundry with cabinets.